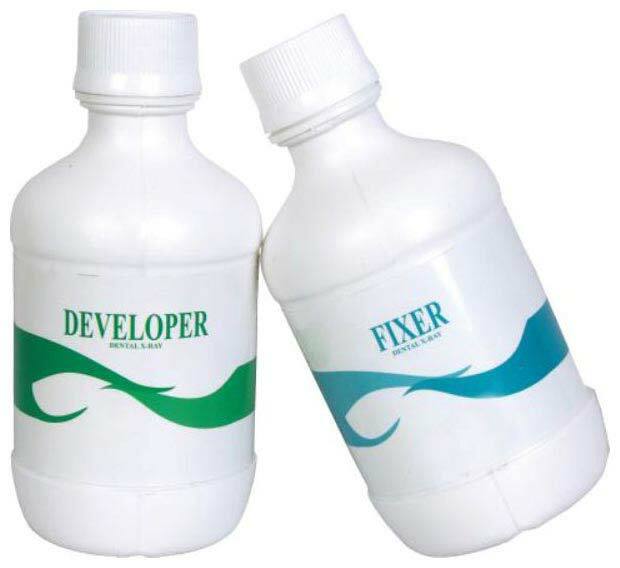 We provide Developer & Fixer that is specially packed for dental x-ray films. Dental Developer & Fixer that we offer is used by adding 774 ml of water in order to make one liter working solution and to make less quantity of solution follow the same ratio. The preparation of Developer & Fixer may cause skin irritation, so it is advised to use rubber gloves while handling this solution.